Hey everyone! Today I have another Divine Caroline tutorial for you, which I based around the recent Prada Spring/Summer 2014 Resort collection. I noticed on the runway that most of the dresses/outfits combined floral print and colour blocks and I wanted to translate that on to my nails. You can see the dress I was inspired by and the tutorial itself here on Divine Caroline. Like the flowers, but the black colour is toomuch...how is it with black flowers only? 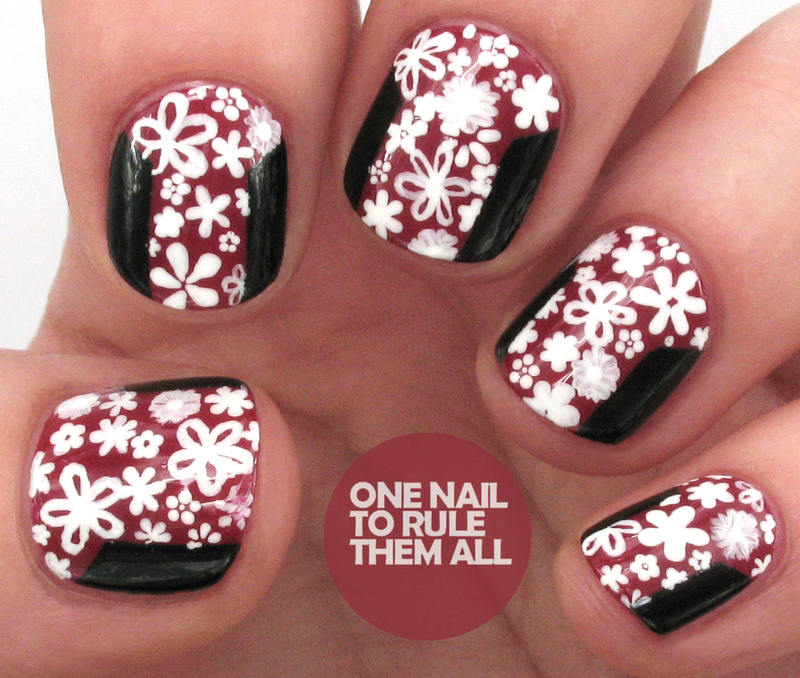 OMG that's awesome and I love how it's hand drawn flowers, you're so good at nail art.